The scientific method is one of the most important topics you’ll study as part of your science curriculum. Make sure you understand it thoroughly before you take a test. 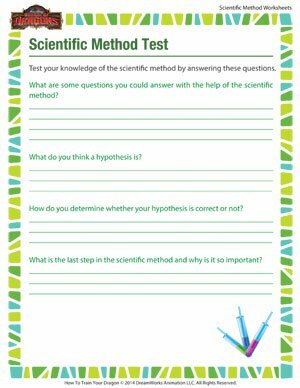 This scientific method printable will help you lock in the basics. The School of Dragons also has plenty of other scientific method worksheets for all grades.